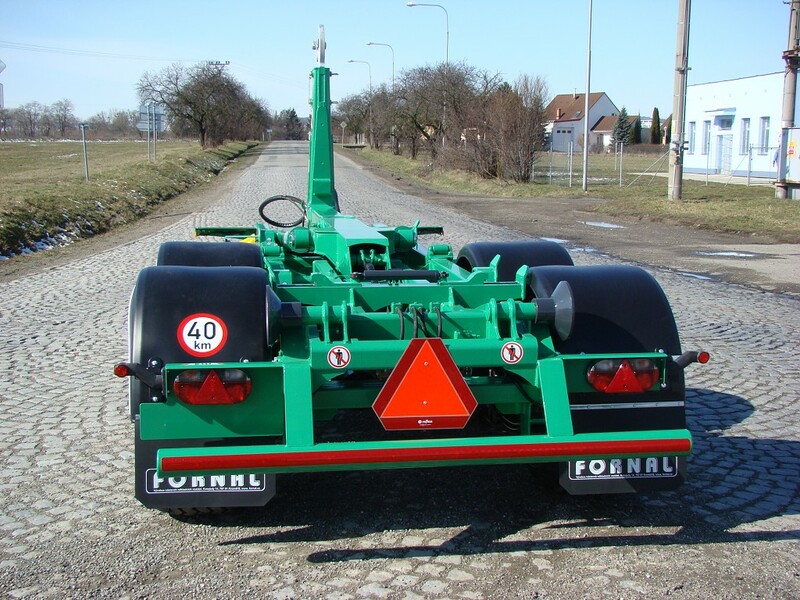 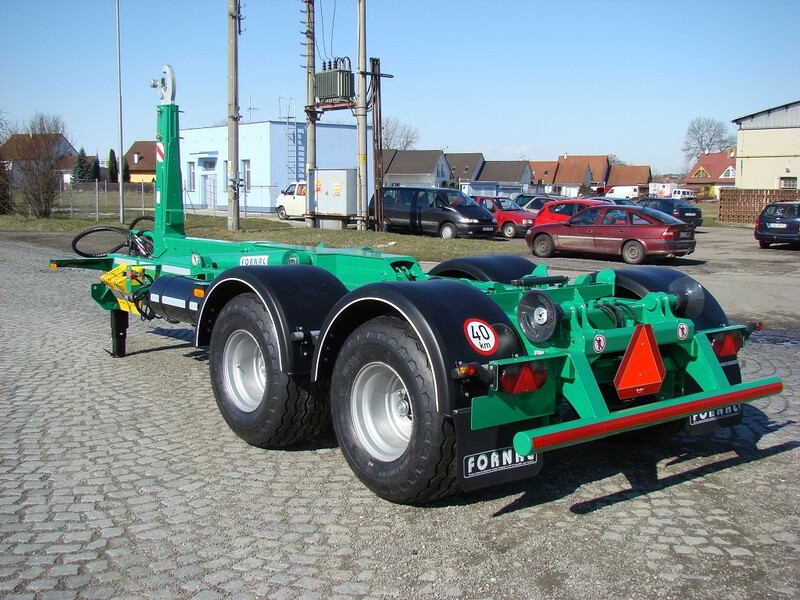 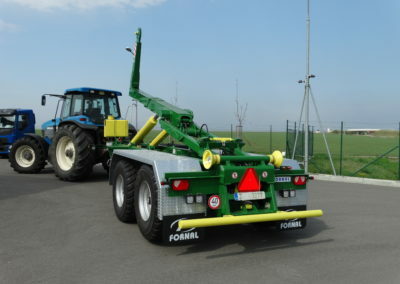 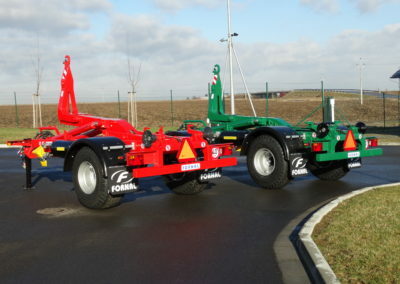 Tractor Trailers | FORNAL trading s.r.o. 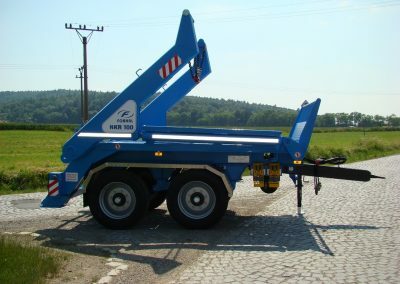 Tractor trailers – we began selling carrier containers as a complete production series in 2010. However, the first products from our production of tractor trailer carrier containers already came out in 2006. 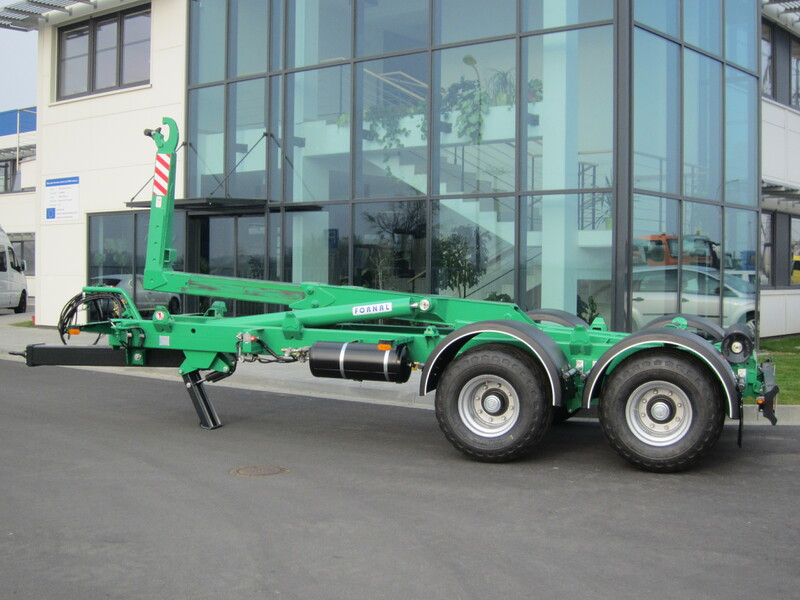 Our own design of tractor carrier trailers comes from the NKR and the NKH automobile super structures. The standard series of tractor trailers is classified by the total weight. 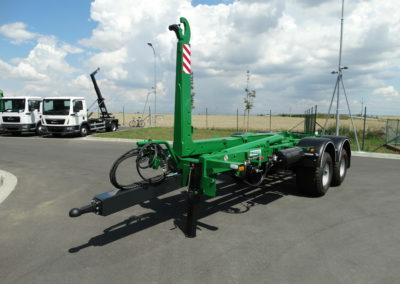 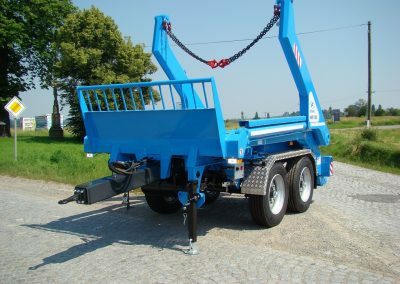 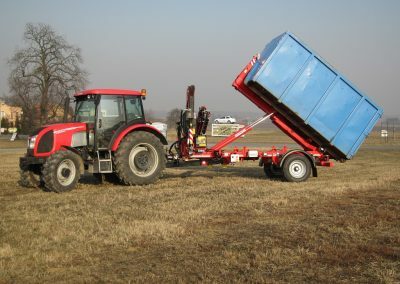 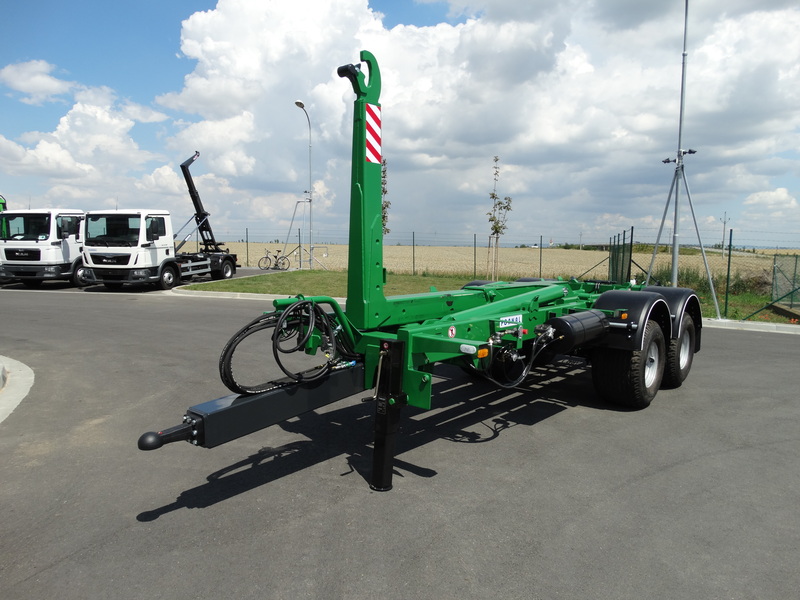 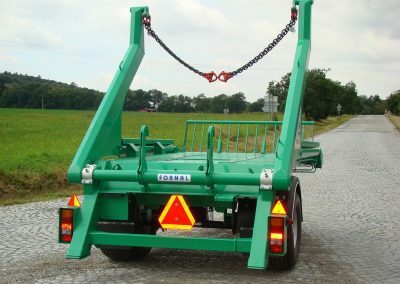 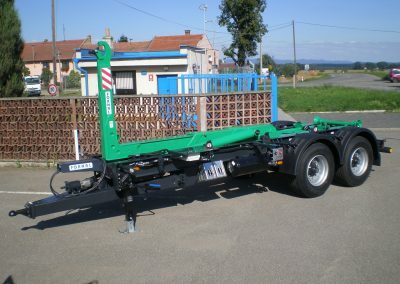 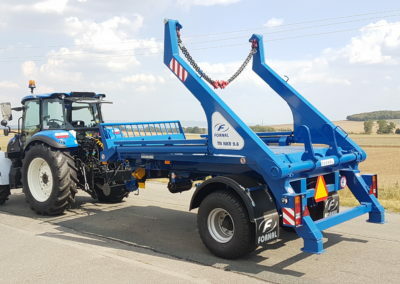 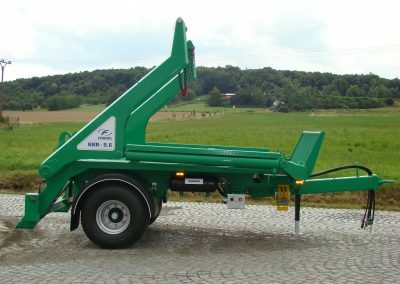 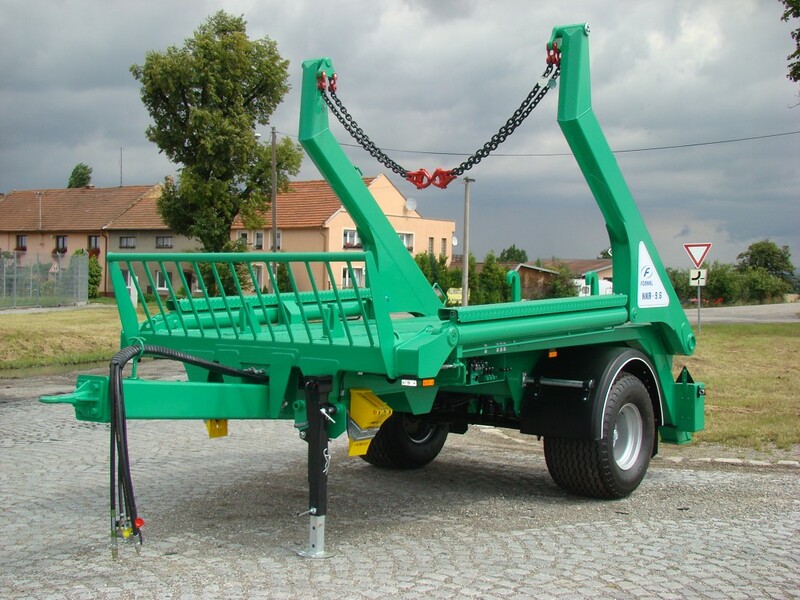 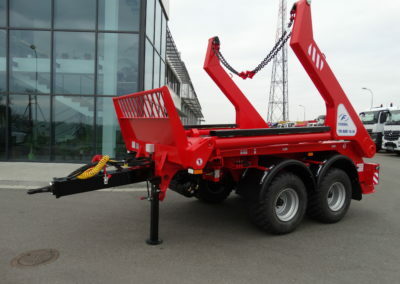 In the design of the TN NKH hook carriers, we offer t trailers ranging from the smallest single-axle seven ton trailer up to the triple-axle twenty-six ton trailer. In the design of the TN NKR shoulder carriers, we offer models ranging from the nine ton single-axle one to the eighteen ton double-axle one. In the basic design, the tractor trailers are modified for a maximum speed of 40km/per hour. 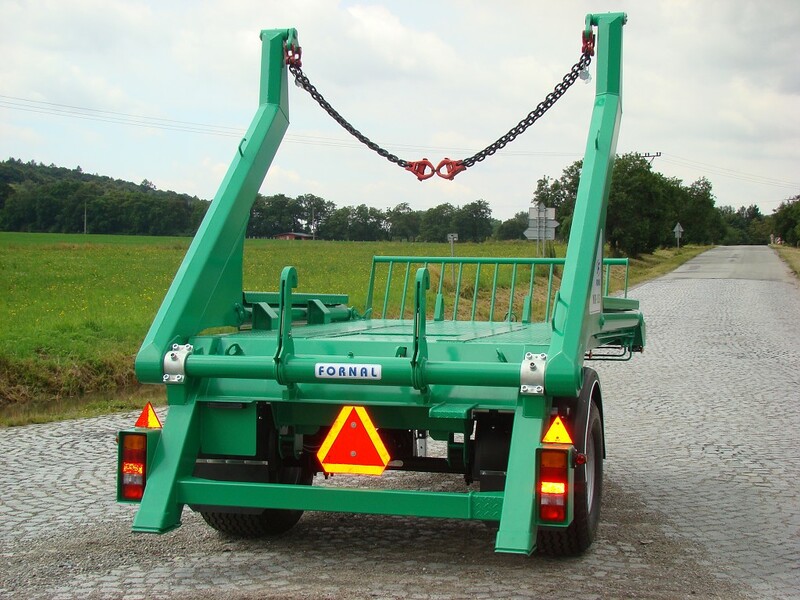 All models have spring-loaded suspensions by leaf springs or tires. 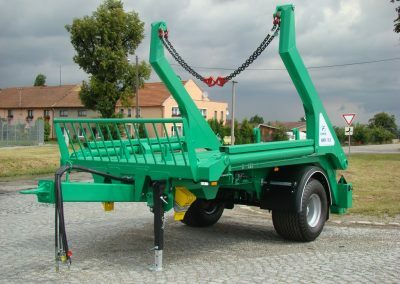 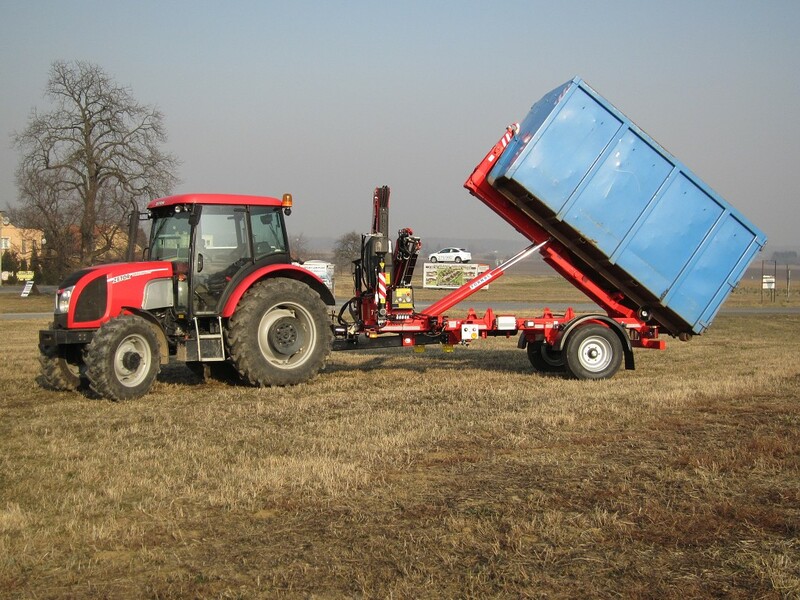 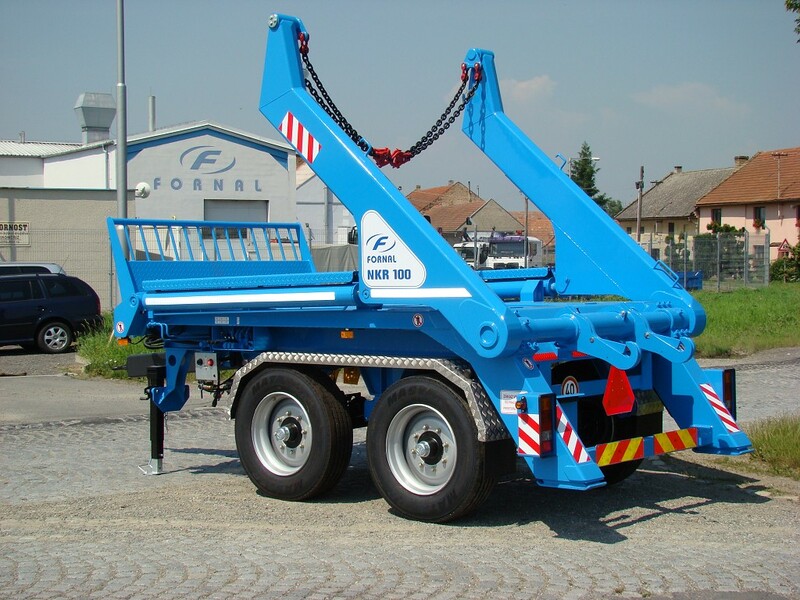 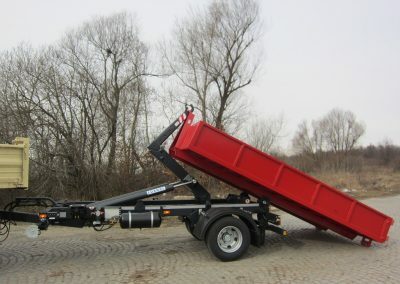 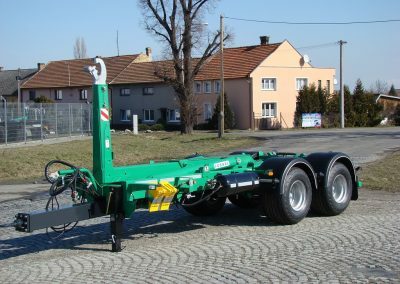 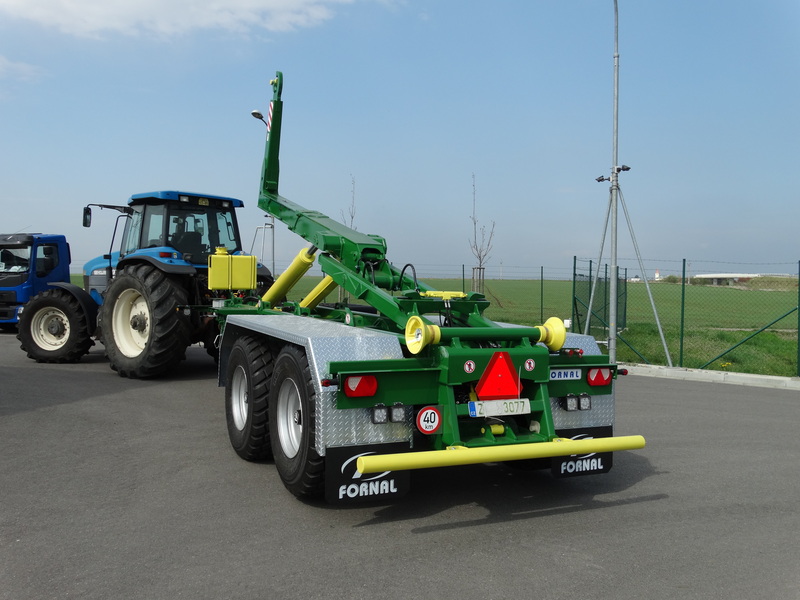 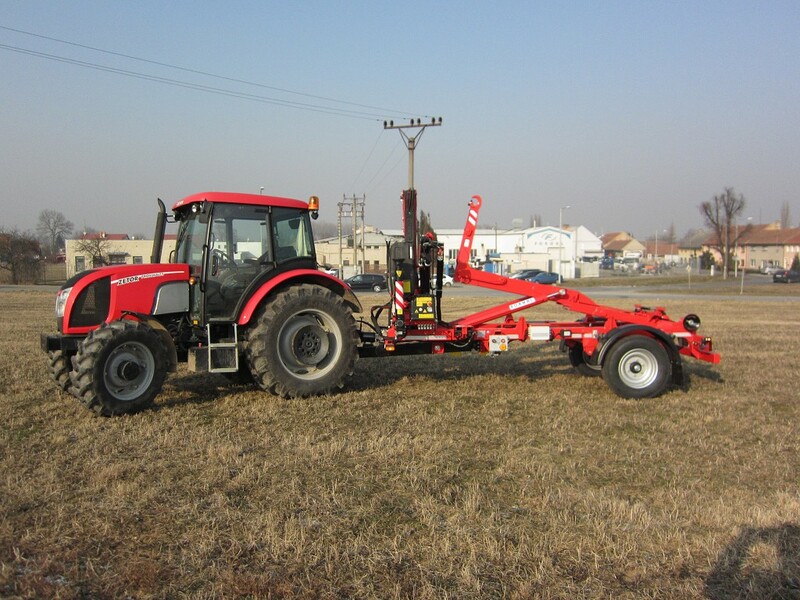 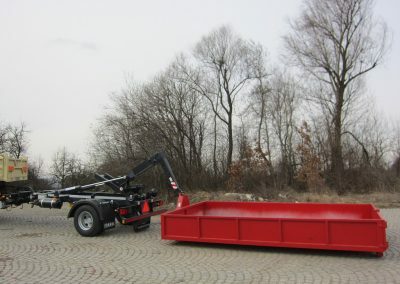 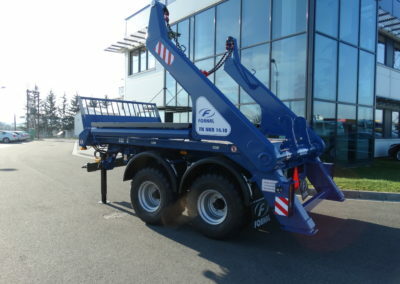 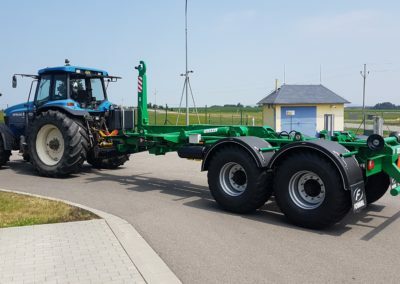 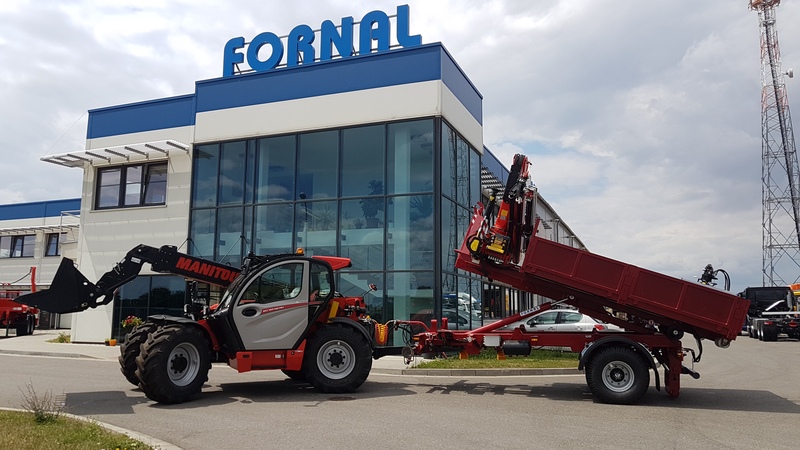 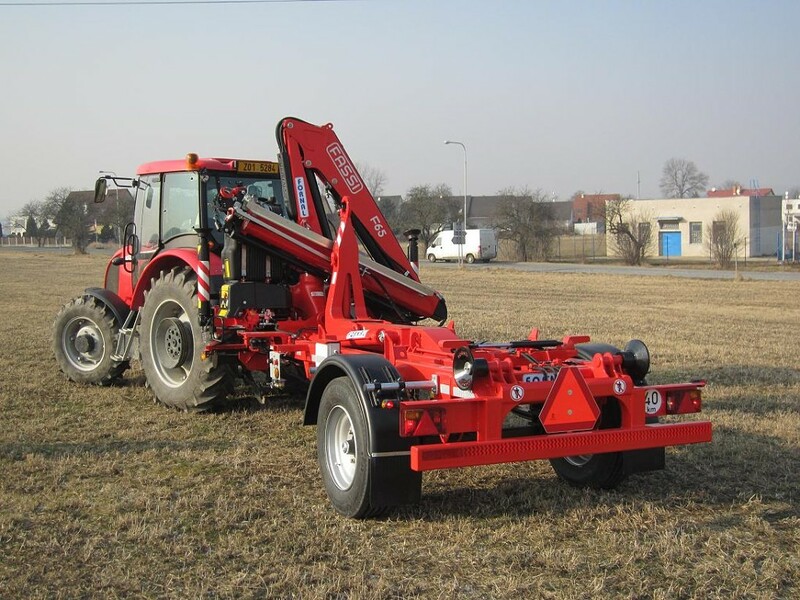 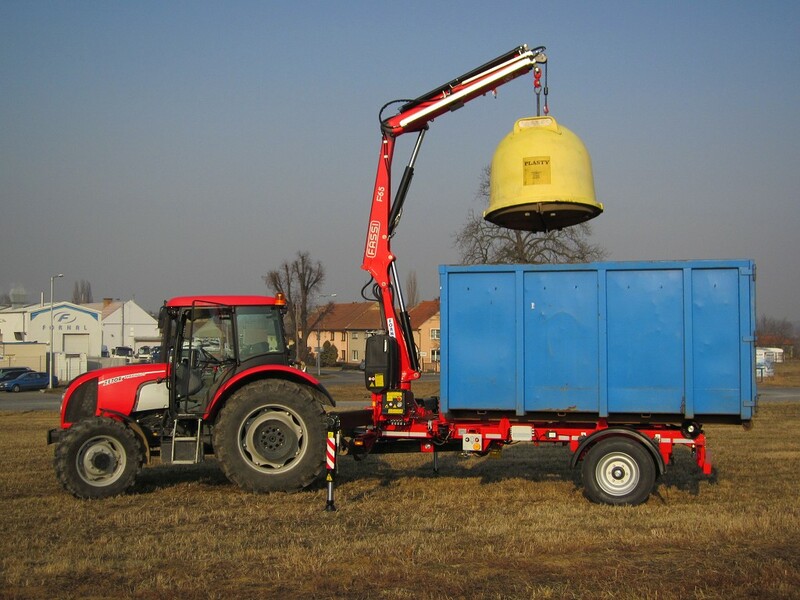 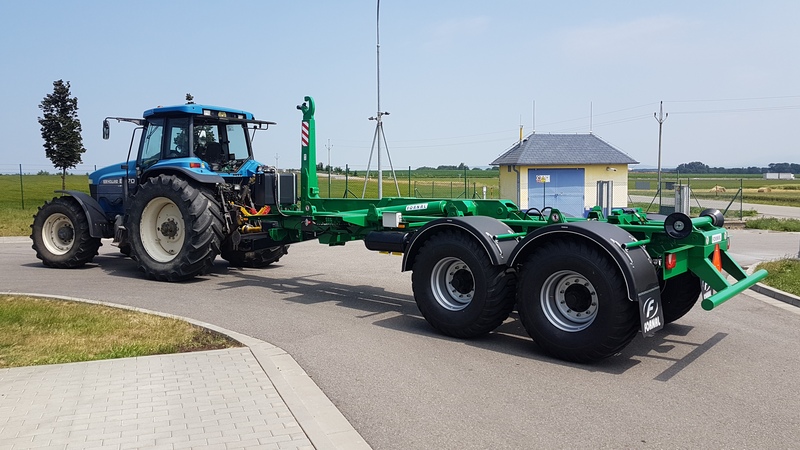 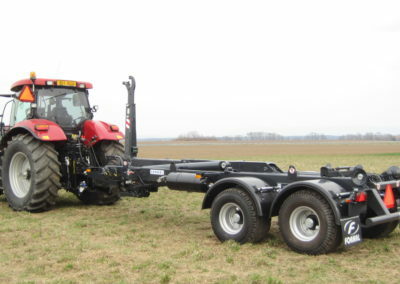 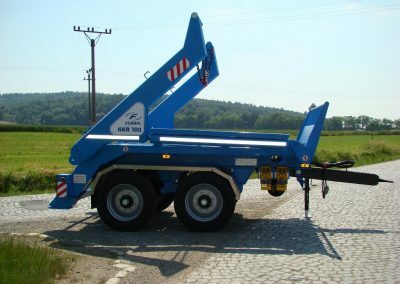 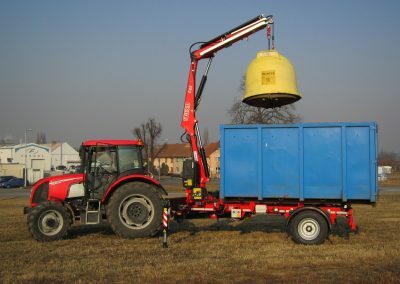 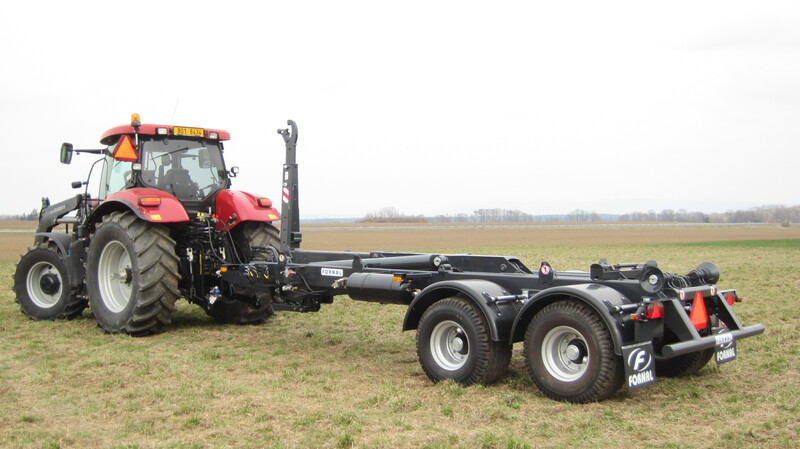 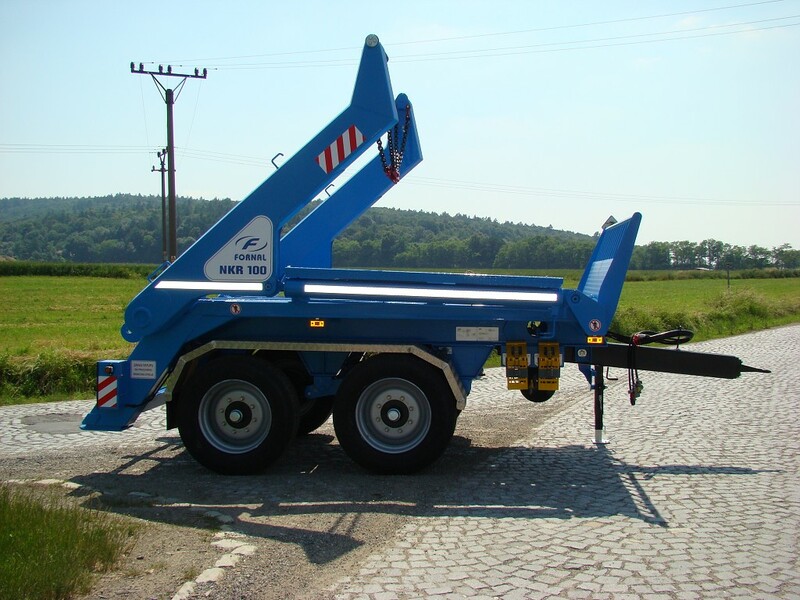 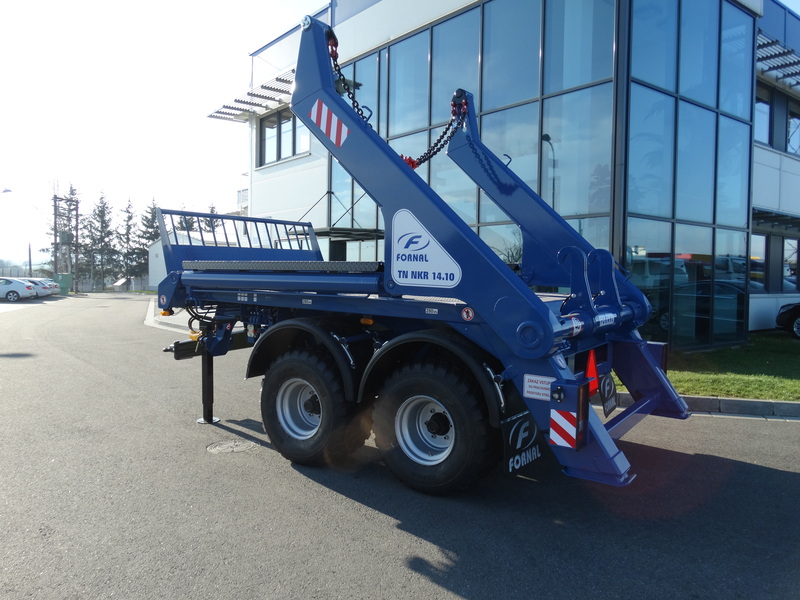 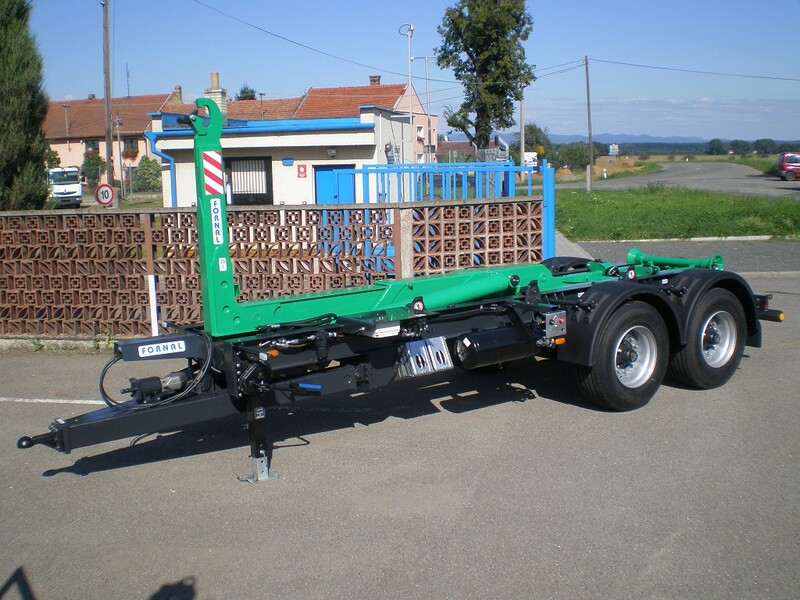 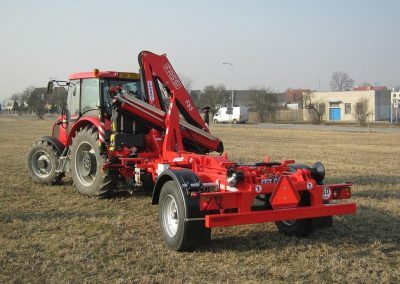 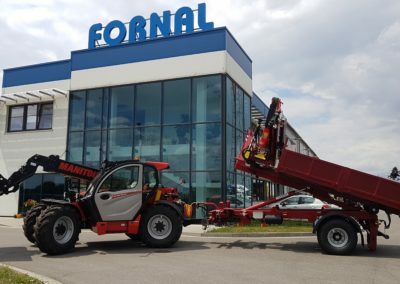 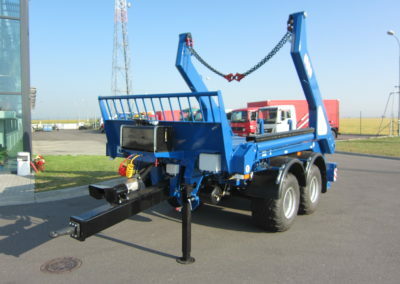 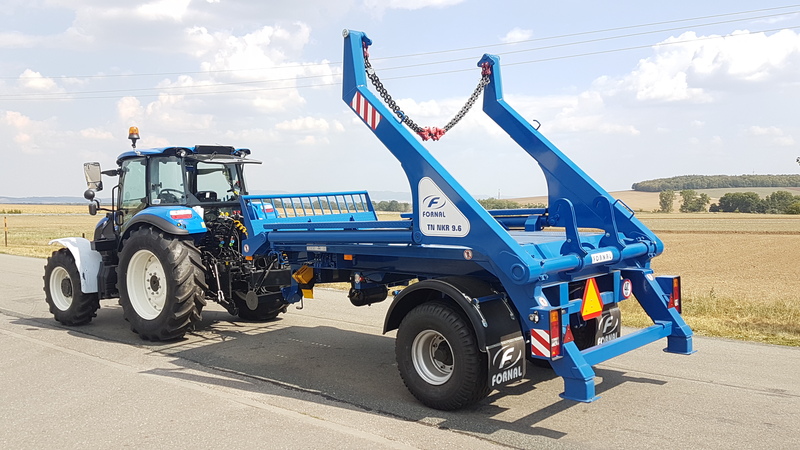 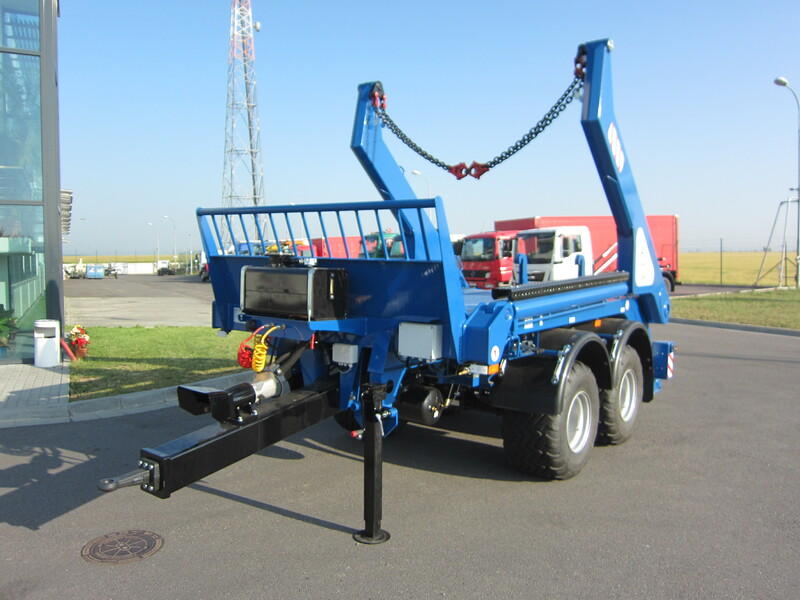 Thanks to its mutual support frame, our carriers highlight a low weight with a low container loading height for the chassis as well as for the working super structure. 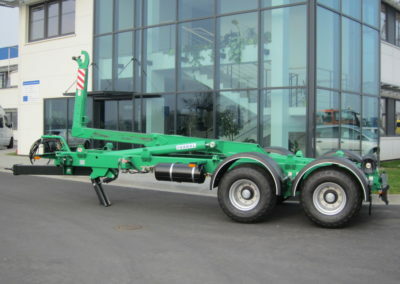 Since the design of the tractor trailer carrier is made from the NKR and the NKH automobile super structures, the elements of the basic and the additionally priced versions are identical.